> Are We Experiencing A New Canadian Gold Rush? Are We Experiencing A New Canadian Gold Rush? Several major mining projects in Canada’s North are scheduled to begin production in the next few years bringing employment and economic growth to the area. The Yukon will have two brand-new gold mines expected to open in the next 5 years alongside the proposal of what could be the territory’s largest mine ever. This is currently being considered by the Yukon Environmental and Socio-economic Assessment Board (YESAB). 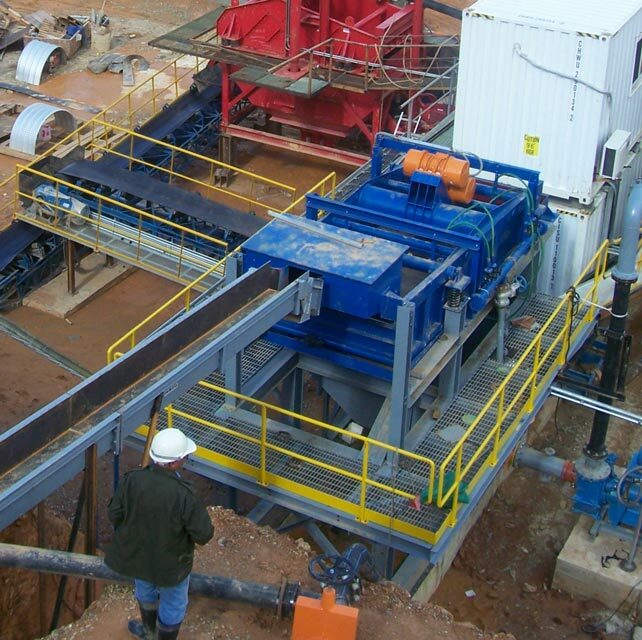 With advances in gold recovery rates thanks to gravity concentrator technology, we are now seeing opportunities for mining operations that were once thought impossible. Gold is nothing new to the Yukon, as thousands of prospectors migrated to the territory in the late 1800s known today as the Klondike Gold Rush. Driven by thoughts of prosperity, people braved the cold dreaming of finding gold nuggets along the creeks and rivers. Little did they know, the gold they sought was microscopically ingrained in the non-precious ore encasing it. The new gold mines are expected to help grow the Yukon’s economy by 6.2% in 2019, tripling the Canadian average of below just below 2%. Since these operations are just beginning, it is expected to see sustained annual growth in the years to come. Nunavut is in a similar situation as construction and expansion of gold mines are expected to grow their economy by 7.3% until 2020, then slow down to 4.6% afterward, which is still twice as high as the Canadian average. Gold production in Nunavut is expected to double in the next few years putting us in a new-age gold rush. Sepro is helping mines in Nunavut achieve record gold recovery with Falcon SB gravity concentrators. TMAC has been able to achieve a sustainable gold recovery rate between 82-85%, with a throughput of 1,900 tonnes per day. Much higher than the “Klondike gold rushers” could even dream of. Due to Canada’s rich geology and sound regulatory regimes, it is one of the most attractive regions for mining investment worldwide. With the addition of these new mining operations and strong funding for future mineral processing projects, we are experiencing healthy growth in our industry. Growth can also be attributed to the technology that allows us to economically extract fine minerals, making more mining sites viable. Sepro is excited to provide any domestic or international mining operation with this technology. Looking for the industry-leading gold recovery rates? Speak with one of our gold recovery experts today to get started. We’ll help you take advantage of Canada’s new gold rush.